This ten-day studio-based design workshop will explore the potential of articulated envelopes and grounds through the use of computational design approaches and the construction of 1:1 inhabitable and floatable spaces. The workshop will be taught by tutors from the AA Visiting School and the University of Technology Sydney and will also include input from specialist participants. Application Deadline: January 23, 2012 - Apply today. 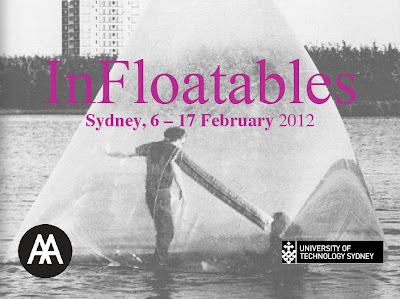 InFloatables is open to current architecture and design students, architects and designers worldwide.